Home » Collection » Gregory Corso 1964 N.Y.C. my apartment East 6th Street? No 704 E. 5th Street says Peter Orlovsky. 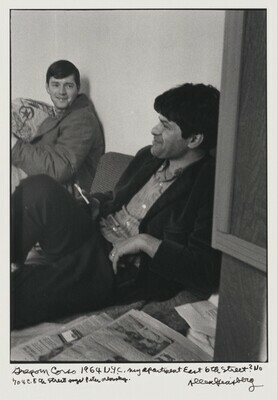 Gregory Corso 1964 N.Y.C. my apartment East 6th Street? No 704 E. 5th Street says Peter Orlovsky.